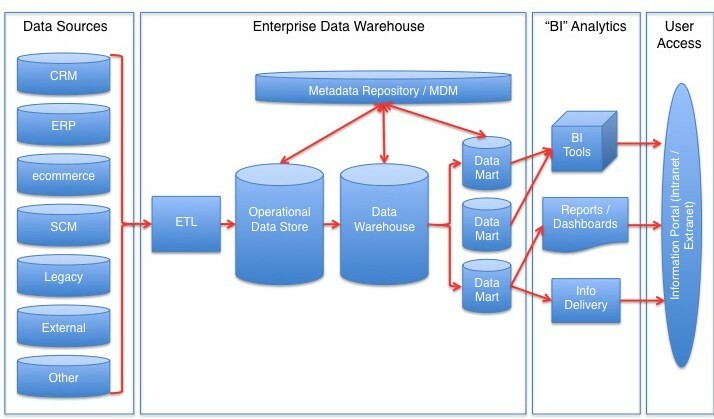 The main difference between data integration and ETL is that the data integration is the process of combining data in different sources to provide a unified view to the users while ETL is the process of extracting, transforming and loading data in a data warehouse environment. Data integration refers to combining data from disparate sources into meaningful and valuable information. Therefore, a complete data integration solution delivers trusted data from different sources. It is an important process when merging multiple systems and consolidating applications to provide a unified view of the data. On the other hand, ETL is a process that is followed before storing data into a data warehouse. It involves extracting, transforming and loading data. Data integration is the process of combining data located in different sources to give a unified view to the users. However, data integration varies from application to application. In a commercial application, two organizations can merge their databases. In a scientific application such as in a bioinformatics project, the research results from various repositories can be combined into a single unit. Also, a common use of data integration is to analyze the big data that requires sharing of large data sets in data warehouses. In overall, data integration is a difficult process. Moreover, it requires sufficient generality to accommodate various integration systems such as relational databases, XML databases, etc. A data warehouse is a system that helps to analyze data, create reports and visualize them. The managers, data analysts, business analysts can analyze this data to take business decisions. There are three steps to follow before storing data in a data warehouse. It is called ETL. It involves data Extraction, Transformation, and Loading into the data warehouse. There are various data sources in an organization. The first step is to extract data from these different sources. However, data extraction should not affect the performance or the response time of the original data source. Full extraction and partial extraction are two methods to extract data. The second step is transformation. Here, the extracted data is cleansed, mapped and converted in a useful manner. Data selection, mapping, and data cleansing are some basic transformation techniques. Moreover, there are some advanced data transformation techniques too. They are standardizing, character set conversion and encoding handling, splitting and merging fields, summarization, and de-duplication. 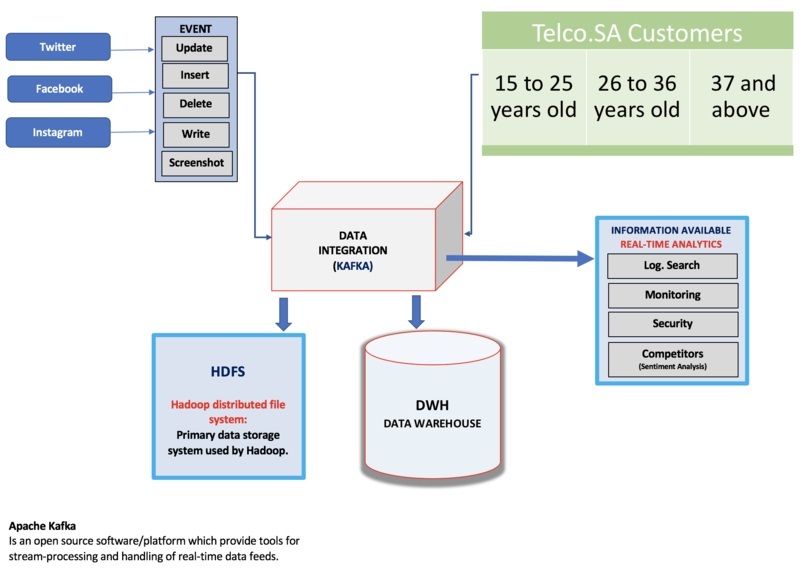 The final step is to fetch the prepared data and to store them in the data warehouse. It is called loading. Here, the loading can be an initial load, incremental load or a full refresh. Initial loading is to load the database for the first time. Incremental loading is to apply the changes as requires in a periodic manner while full refreshing is to delete the data in one or more tables and to reload with fresh data. Data integration is the process of combining data residing in different sources and providing users with a unified view of them. ETL is a three-step function of extracting, transforming and loading that occurs before storing data into the data warehouse. hence, this is the main difference between data integration and ETL. Scientific and commercial applications use Data integration while data warehousing is an application that uses ETL. This is another difference between data integration and ETL. 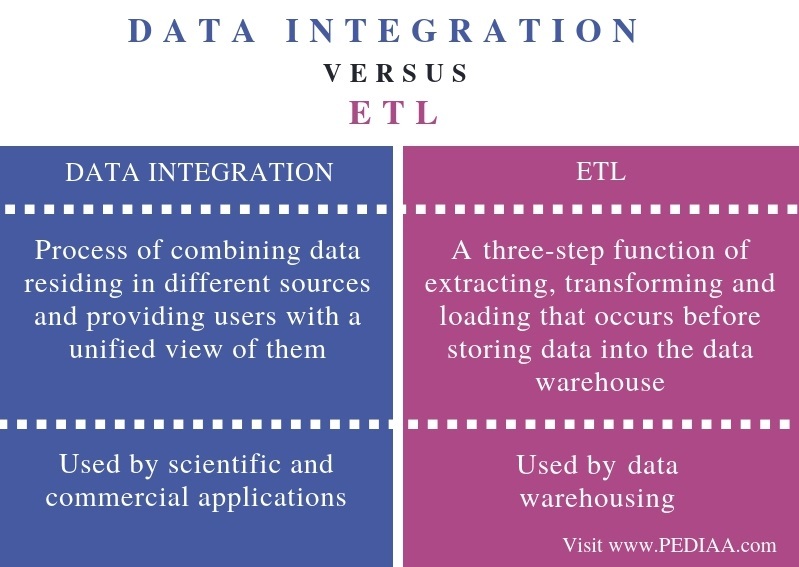 The difference between data integration and ETL is that the data integration is the process of combining data in different sources to provide a unified view to the users while ETL is the process of extracting, transforming and loading data in a data warehouse environment. 1. “Data Integration.” Wikipedia, Wikimedia Foundation, 4 Oct. 2018, Available here. 2. “Data Integration.” Data Integration | Data Integration Info, Available here. 3. vtakkar. 3 – ETL Tutorial | Extract Transform and Load, Vikram Takkar, 8 Sept. 2015, Available here.